This article defines the concept of health promotion and explains why it is essential for nurses to embed health promotion aims and values in their practice. It discusses how health promotion contributes to the improvement and maintenance of population health and contemporary public health agendas in the UK and worldwide. 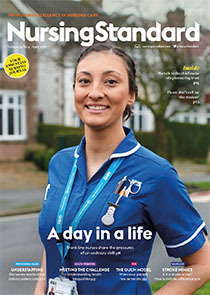 Using several practical activities, this article aims to encourage nurses to identify their own approach to promoting health in their professional role, consider how they can implement ‘Making Every Contact Count’ with the patients they care for, and enhance the overall effectiveness of their practice.